I have always been a lover of timepieces. I find great enjoyment and satisfaction in wearing one. In fact, when I am not sporting a watch on my wrist, I feel utterly naked. Sure, we all have a smartphone that never leaves our side, but there’s something to be admired about a sleek and artistic design of a wristwatch. I love to alternate between classic and unique pieces. It is so fun to play around with colours and finishes. From the cases to the straps, I've always been fascinated with how even the antiquated designs never go out of style. So, when JORD Wood Watches approached me to try out one of their timepieces, I couldn’t resist. 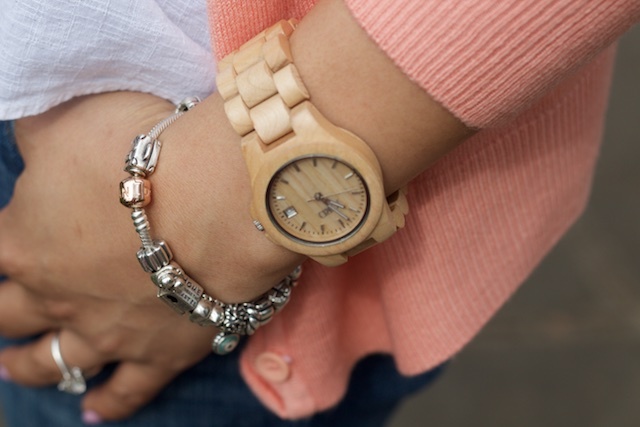 I have been intrigued by wood watches for a while now. Most of the ones I've noted were not really my style, though. They were either too stylized or consisted of a faux wood enamel inlay—both were not what I was looking for. 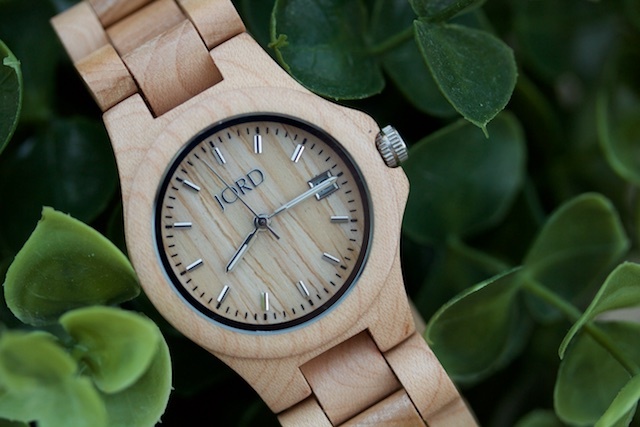 The JORD Wood Watches, on the other hand, are made from 100% natural wood and have a bunch of simple, yet modern styles. The Ely Series in Maple (shown, $129) has a more feminine style with the smaller dial & band than the classic mid-sized Fieldcrest Series ($120). The Ely Series is a great size for my wrist, especially once the band is sized down for a more snug fit. The simplicity of the design is perfect—the Maple is a light wood finish and I love that the intricacy of the wood grain is visible. It definitely adds to the design & aesthetics of the watch. Watches are the simplest accessory. You can wear them for different occasions and different outfits. 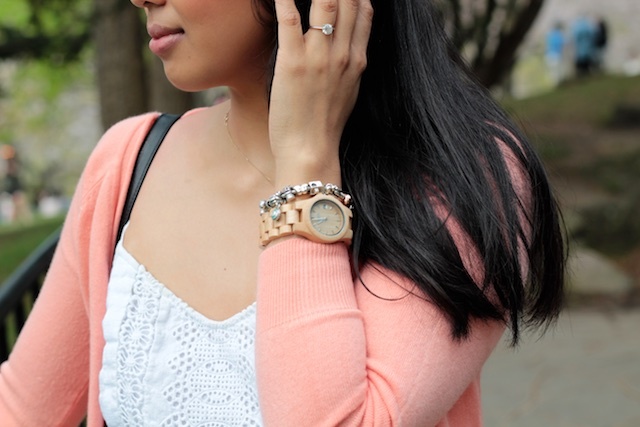 The Ely Wood Watch goes well with any outfit. Whether it is jeans and a t-shirt or a flouncy dress—it just works. Don’t let the plain design fool you because when worn, it’s a piece many people notice. I wore it on a trip I took earlier this year & got nothing but compliments on the sleek look. If you’re in the market for a new timepiece, check out the JORD Wood Watches website! You have to check out these other styles while you’re there: I love the koa & rose gold design of the Cora Series and the rugged contrast of the zebrawood & cream of the Dover Series! 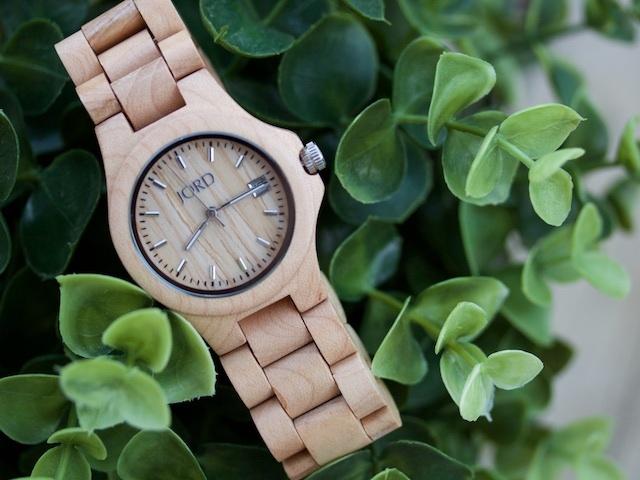 Let me know what you think of wood watches in the comments below! Ps, who else visited the Sakura trees (aka cherry blossoms) in High Park this year? The Beau & I took my mum there during Mother’s Day weekend and she loved it! Such a lovely watch and I love your cute outfit.